This issue is about using herbs. Is it late summer or is it early fall??? Who knows - in the UK, where I live, we don't really get great seasonal differences. We have a few scorching hot days - we call it 'summer' and people complain and we have a few freezing cold snowy days 'winter' (some years) and people complain! Theoretically, summer is June, July and August - but we often get our best consistently sunny weather in September and October - it's relatively warm and generally not wet. So - this is a bit of a hybrid month for the magazine - a few recipes, things to make out of what you might have in the garden and some ways of using herbs that you can perhaps store over the winter. What you want to do this month, depends on where you are and what's growing - so, some ideas, some reading material but no specific herb this issue - although lavender features very heavily. 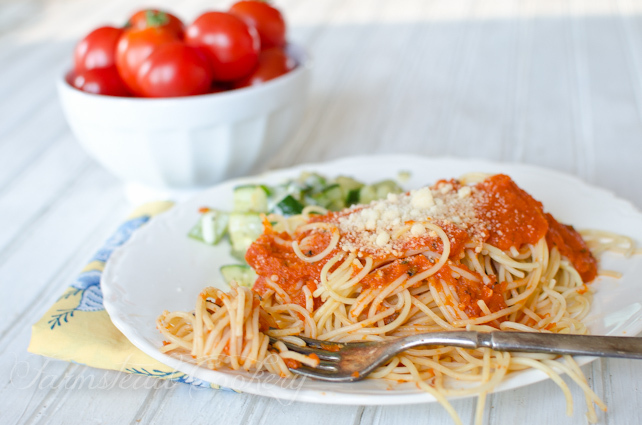 This first recipe is a seriously good way of making an authentic Italian Tomato sauce. You use a slow cooker, the whole tomatoes and fresh basil and oregano - dried is fine, but as you should have plenty growing in your garden, use up some of that. This sauce yields three quarts of sauce from 6 pounds of tomatoes - how many times do you end up with a tiny bitty bit of sauce from a whole tomato plant? Not this time. This recipe will blow your mind!! ReformationAcres is the source of this recipe - I love the way Quinn writes - you will love her too! 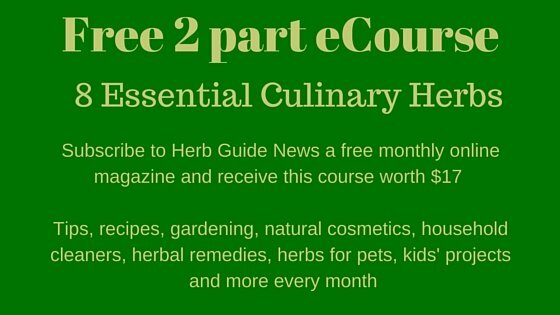 You are going to be harvesting your herbs now - most of them anyway. You'll need to preserve them for winter use. You can then let them flower and the bees and other pollinators can have a good feed too! 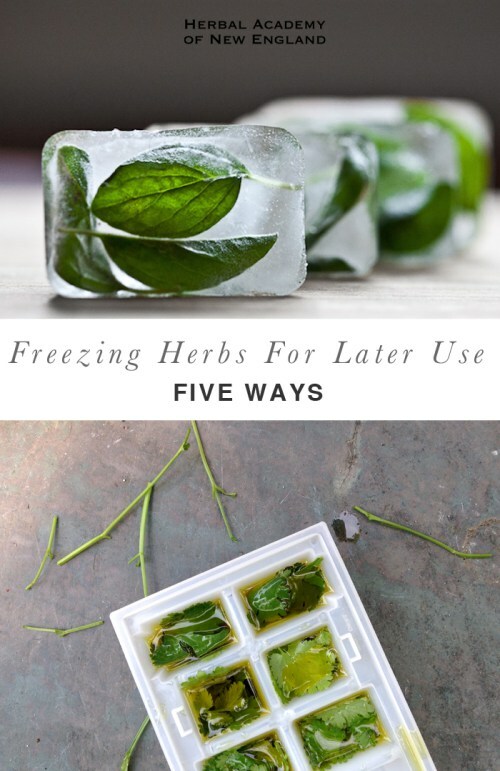 The Herbal Academy of New England has a fabulous guide of 5 easy ways to freeze herbs and believe me, they are easy and quick. It's possible to use these methods for small amounts of herb - you don't need to have a massive harvest to make it worthwhile. Just remember to label the individual species. Don't go mad - you've still got to store them, so try and work out how many times you'll use say oregano or basil a week and freeze enough to last until they start growing again next year. How diapers can help your plants grow - and it's probably not the way you're thinking. Grant, King of Random has produced this video which has had nearly 7 million views! This is a super simple idea if you want to cut down on the watering you need to do - it will also make a very useful frozen ice pack to apply to twists and sprains. Again, as we're in harvesting time, this is a great way of using up some of your lavender stems and making them into wands to put in your wardrobes, understairs, clothes drawers, linen cupboards or just hang in your living rooms to get the scent from them. Red Ted is a fabulous art site which you ought to pop over and have a look. There are loads of kids crafts to choose from. 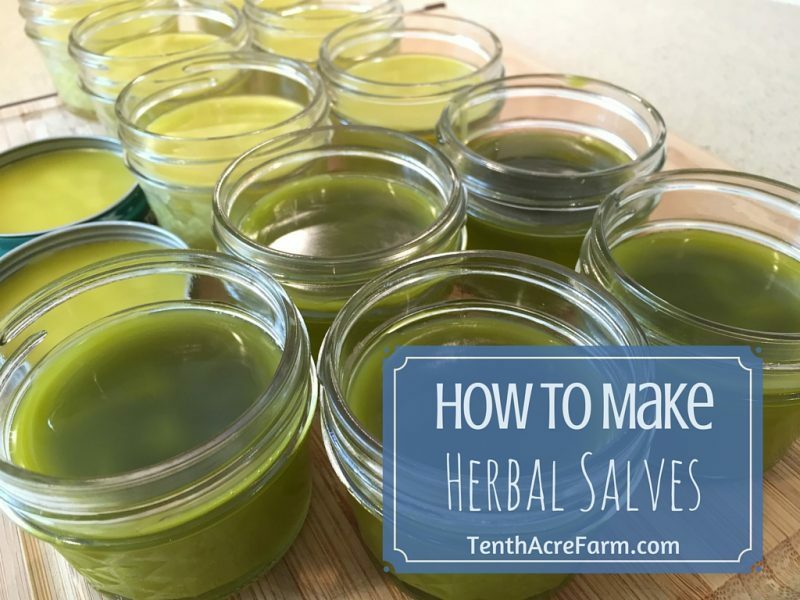 Super duper easy to make Herbal Salves. I make dandelion oil salve this way - it is so easy and you just use oil and beeswax pastilles. I have a big bag of them - they last indefinitely, nobody really knows how long. Check out the two methods of making the infused oil - slow and fast. The shelf life of these salves will be around a year - that's good, because you can just make one or two jars a time and make fresh next season. I find one four ounce jar will last me the year. I don't use the pan directly to heat my salve mixture - I put water in the pan and bring up to heat and then put my oil and beeswax in a glass pouring jug - it melts quite quickly and you don't have the problems of cleaning out a pan or of it solidifying as you transfer it from pan to jug to jar. TenthAcreFarm has some wonderful 'skills for the productive home' - do check it out. If you can only do a little bit, then you've achieved something that the vast majority of people can't or won't try. 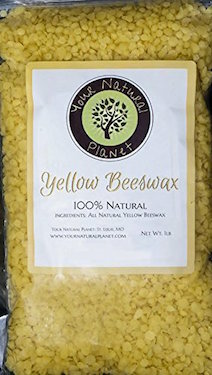 A bag of these beeswax pellets goes a very long way and they last indefinitely. Beeswax candles were found in the tomb of King Tutankhamen and were in perfect condition - so, that's a while then. They feature in lots of recipes for natural products - the Healing Salve recipe, using olive, coconut oil and beeswax which featured in Issue #7 of Herb Guide News, Drawer Fresheners in Issue #6, a Homemade Lotion in Issue #5 and Furniture Polish in Issue #3. All of those recipes feature just beeswax with oil you will probably have in your cupboard, so no need for expensive ingredients that you'll only use a tablespoon of. You'll love this idea - it's Bath Tea. If you've got lavender growing in your garden, then this will be a fabulous gift to make for someone or to use yourself. It would be a superb gift for your kids to put together for grandma or auntie. 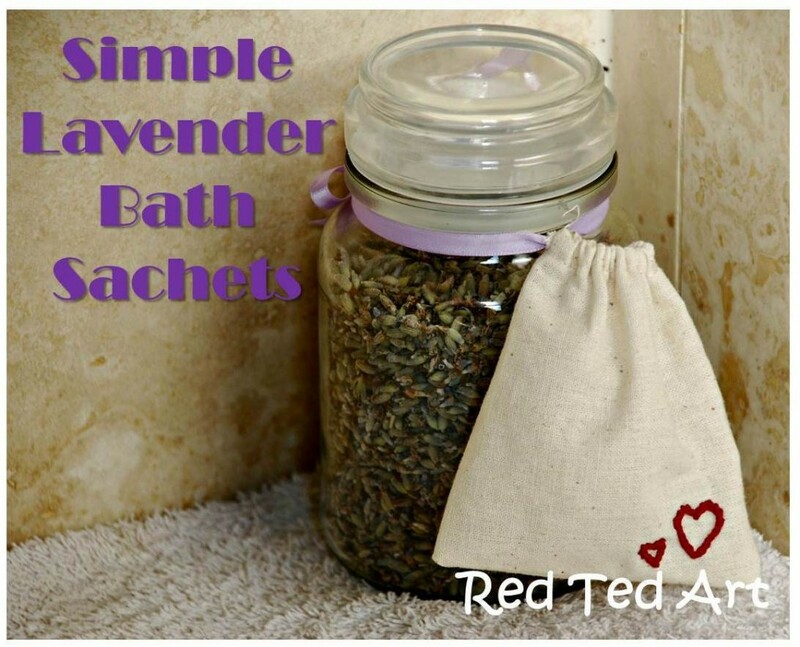 The little bag is close weave muslim and you put about a quarter cup of lavender into it and tie it over the hot tap as you're running your bath for a lovey relaxing soak. Other herbs can be used, dried rosebuds, chamomile for instance or a mixture. RedTedArt has countless pages of ideas for kids crafts. These are just amazing - I realise it's perhaps the wrong time of year to be introducing this topic, but I really wanted to share these free greenhouse plans with you. As you see, some of them are even made of waste bottles, so you'd need to save these up in advance. There's a small cloche type one made out of CD covers - who's have thought it? ?There's three pages of photos, so don't give up on page 1. 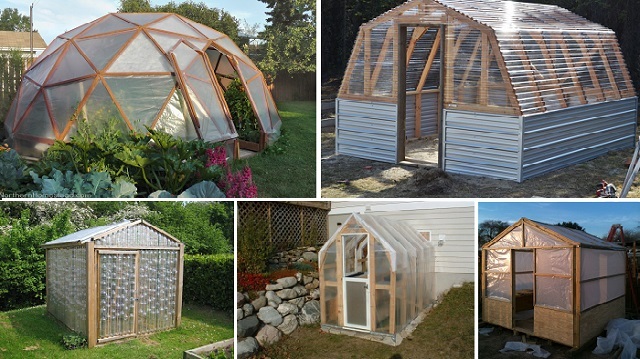 Greenhouses do extend your growing season - even if they're unheated. With a small heater, you can extend your growing season even more. They're great for getting seeds under way at the beginning of the year, overwintering more tender plants and ripening off tomatoes etc that just haven't quite had enough sunshine. Look at that wonderful home made grainy mustard. You'll never buy your own again. It's so easy to make - you just need a little bit of time for the seeds to soften. You might have mustard plants growing in which case, you can harvest your own seeds or you can buy them quite easily. There are other uses for mustard seed, you use them in pickling, fermenting and making curries. They have no flavour until they are crushed, then they can be quite pungent. White/yellow is usually the mildest and the one that grows easiest - black and brown are Asian and don't always grow so well. 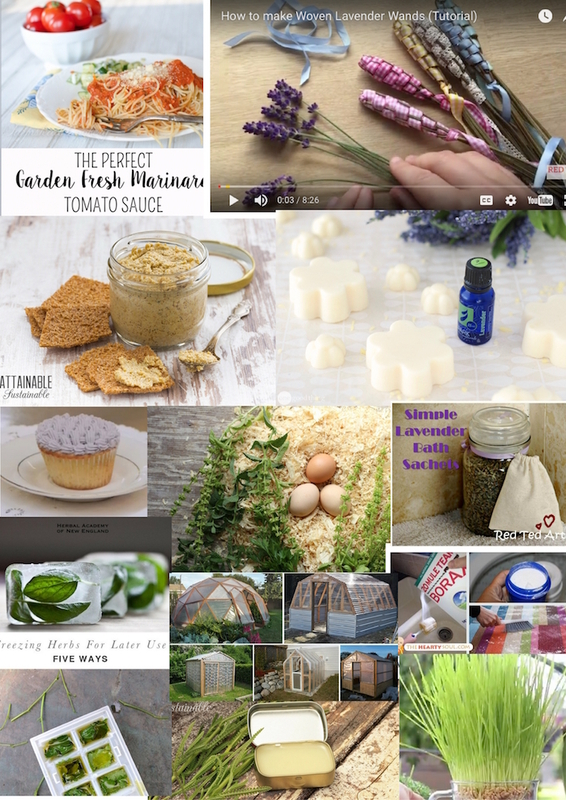 AttainableSustainable is a mine of information about making and creating stuff for yourself. There's no 'holy grail' of making you feel that you've *got* to be self sufficient, just do what you can and have consideration for your environment - every little bit helps. 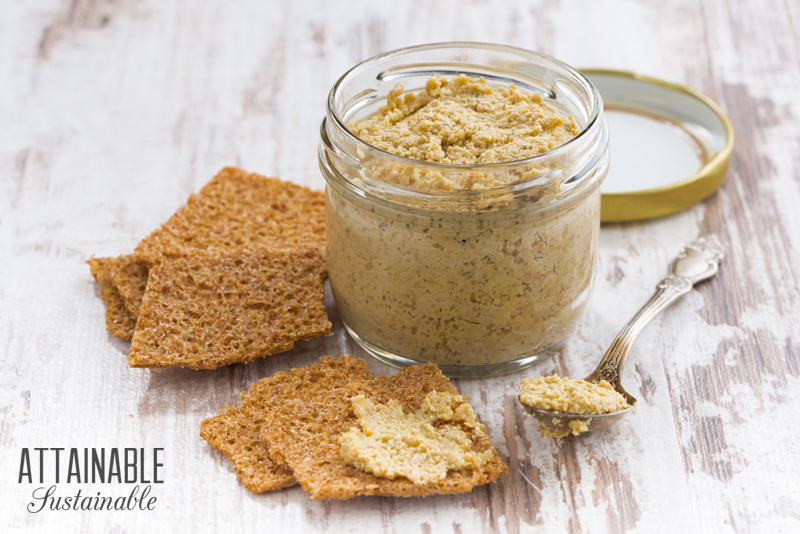 This is an exceptionally easy balm to make for soothing bug bites. 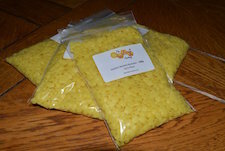 Again, using lavender and lavender essential oil, some ordinary oil and beeswax pastilles. 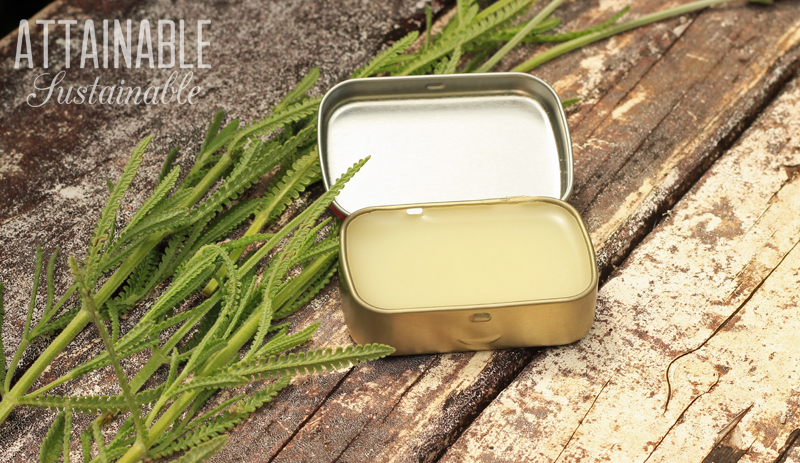 You can use lip balm tubes or save any small jars or candy tins. A little tub in your pocket will come in handy. I make no apologies for referring you again to Kris's AttainableSustainable site for this super quick recipe. 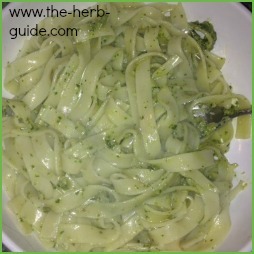 A classic basil pesto recipe to serve over cooked pasta. You should have loads of basil growing and this is a great way of using it. I love pasta dishes in the late summer as they're so quick to cook, you don't have to spend hours in the kitchen getting hot and bothered and it's very filling and economical if you're cooking for a crowd. You can use frozen basil for this but dried wouldn't work. Propagating some of your shrubby type herbs is very simple and this is one of the best times to do it, just as the new growth is beginning to firm up - they will be classed as 'semi-hardwood' cuttings. Late summer/fall is a good time to take cuttings as the growth hormone will be active in the leaf nodes and you'll get a fairly good strike rate. Lavender is a particularly good subject for this type of propagation - others are Rosemary, Sage, Thyme, St John's Wort - anything 'shrubby' rather than the fleshy type like Basil and Mints for instance. 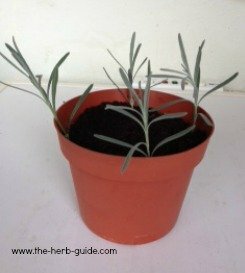 If you click on the link you will see some step by step photo instructions of how I took cuttings from my Hidcote Lavender that I have growing at home. Fabulous article for those of us who keep chickens. They *love* herbs and they're not too fussy either There's a long list of herbs suitable for putting in your nesting boxes. 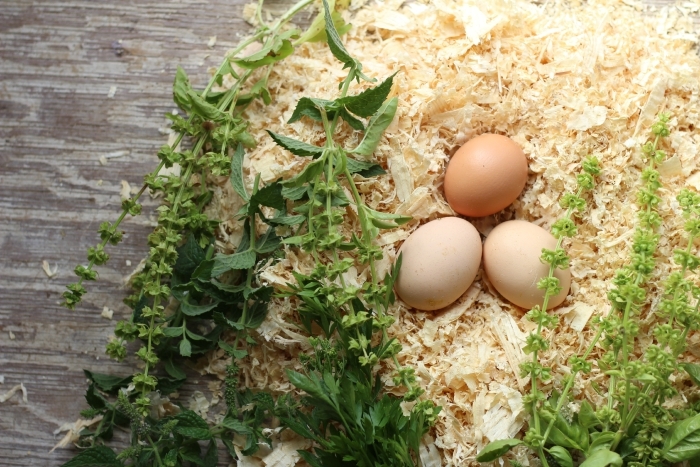 The chickens will love the fresh and they also don't mind dried as it adds a scent to the nesting material that they love. ThePrairieHomestead is full of information for anybody - you don't have to commit to going the full way with being self sufficient, just take whatever you need and know that you're still making a difference to your wellbeing and the general state of mind of your family. If you've got a glut of lavender - and it's quite possible - you'll need to preserve it. 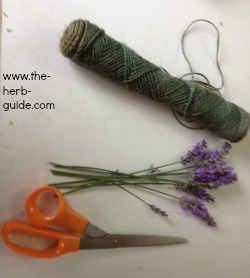 You can make some into wands but drying lavender is really simple and you'll be able to use it in your relaxing herbal bath, making a sachet or even putting it into an old clean sock to hang under the bath tap. This method can be used for any flowering herb - chamomile or feverfew for instance - any type that you want the whole above ground plant. 'Four Thieves' has history going back over 500 years and this particular recipe is very easy for you to replicate at home. You can use fresh or dried herbs with Apple Cider Vinegar and you can use this as a food supplement as well as a cleaner - use white distilled vinegar which is much cheaper if you just want to use it as a disinfectant. If you use essential oils then don't ingest it. 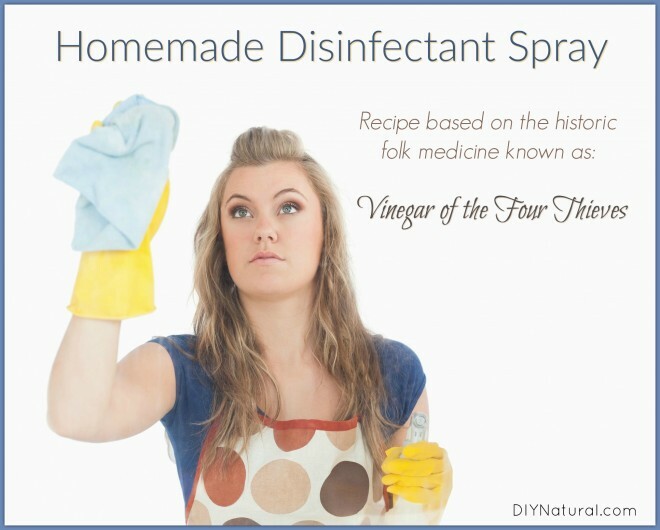 The information is all at DIYNatural for this Homemade Disinfectant Spray. Seriously, let's try and make chemicals a thing of the past as much as possible - they go into our drainage system and then goodness knows where they end up. 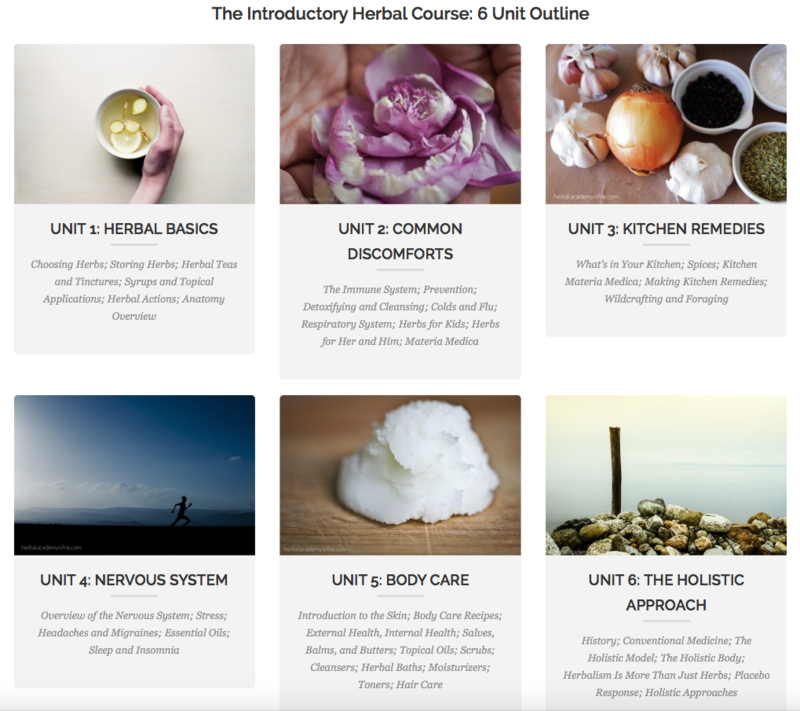 I completed the Herbal Academy of New England Introductory Herbal Course last year - I loved doing it. 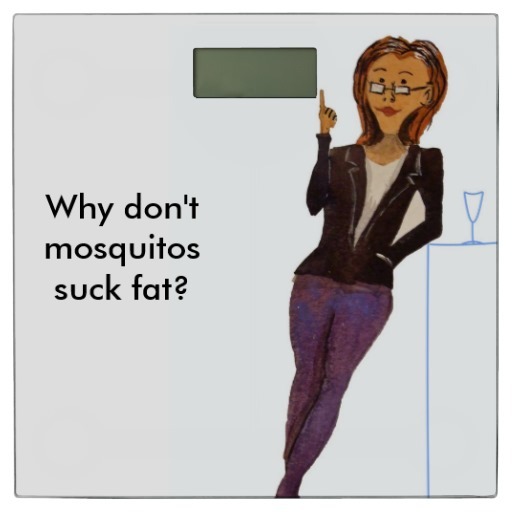 You'll find recipes for natural remedies, cosmetics and household cleaners, enabling you to ditch chemicals and not expose yourself and your family to the harmful additives that are in so many products. Have a read about the course in depth by clicking on the photo. My very good friend Lorelei, is editor of Wedding Cakes For You and has kindly allowed me to share this Lavender Frosting recipe with you. I love lavender in food - as she says, there's an aromatic subtleness and then you get a burst of flavour. 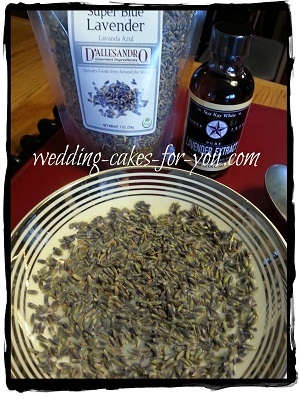 I make a Honey and Lavender ice cream using similar principles of infusing the lavender into the cream. There's a video showing you how to make the lavender buttercream. Lorelei has a fabulous site and offers a video and eBook package to show you how to make your own wedding cakes from scratch. You can save hundreds by making your own and some of her very happy students have gone on to make a business out of wedding cakes, enabling them to work their own hours to suit themselves and their families. 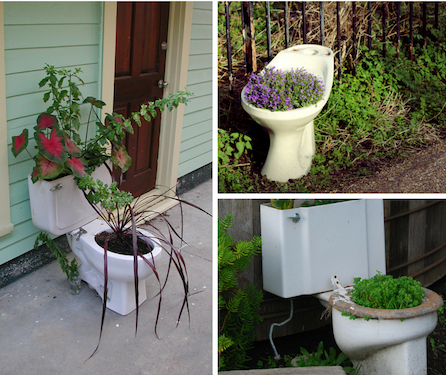 What a fantastic idea to use old porcelain bathroom fittings as plant containers. They'll hold a lot of dirt and make if you use the diaper trick, then you'll be able to cut down on watering. A lot of the problem for container planting is that you have to be constantly watering them in the hot weather as they're not very big - no problem with that here as there's plenty of room for roots.